When a business signs up with a factoring company, the factor may ask the client to sign a Tax Information Authorization or Form 8821, a form that gives the factoring company access to tax information for the years listed in the authorization. This surprises many businesses. They sometimes wonder what tax documents have to do with invoice factoring. Businesses often struggle because there could be a gap between the time they pay for goods or services and the time the customer sends payment. Sometimes, slow paying customers create serious cash flow problems. 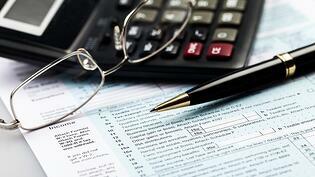 If you have not paid your taxes, the IRS may place liens that affect your bottom line. A lien is a security interest over assets used as collateral for debt. The IRS may file a lien against a company’s assets to collect past-due taxes. The lien is typically placed against company assets, including accounts receivable and invoices, which means the lien can prevent your company from being able to factoring invoices. If you were buying a house, you would typically get a mortgage through a bank. Once you purchase the house with the mortgage, the bank files a lien on the house. It is now listed as collateral for the loan; this way, if you sell the house, the bank gets paid first. Invoice factoring is considered the sale of your invoices to a finance company. If the IRS has a lien against your invoices, the factor won’t be able to buy your invoices because the IRS is claiming them as collateral for the tax debt, in much the same way the bank claims your house as collateral for a mortgage. Your IRS Form 941 shows you have paid all your payroll taxes and the business may not be subject to liens or fines in that area. Other tax returns show that the rest of your taxes have been paid. Business tax returns are just one part of the credit evaluation process. Other aspects of the business finances are also reviewed. Factoring companies may still be able to finance even in some situations where you have tax liens. Businesses with tax problems also often have cash flow problems. If the business didn’t pay taxes, some factoring companies may still be available to assist the business. If a business has tax liens, it may also have other liens against its assets. Liens can prevent businesses from using their assets as collateral. A factoring company may be hesitant to provide financing. If your company has tax problems, you may be in a situation where you need financing to stay in business. If you go out of business, you can’t pay your taxes. Invoice factoring can provide cash flow to companies that are struggling. In some situations, the IRS will agree to help the business work through a solution. Always disclose any tax problems when you start working with a factoring company. Many times a factoring company can help you assess your account financing needs and get your business back on track. Bay View Funding is an invoice factoring company with three decades of experience. We have extensive knowledge in a wide range of industry solutions, so we work with all kinds of businesses. Submit your invoices and, upon approval, you can receive cash in as little as 24 hours. Contact us today for fast invoice factoring and reliable service.